ChemSAR creates an e-learning platform to support the implementation of Operational Plans (OPs) and Standard Operational Procedures ( SOPs). The platform includes all the plans and procedures created during the project and e-learning material accordingly, together with a chemical databank and simulation game. ChemSAR concept highlights the need for joint procedures, coordination and co-operation between different actors within and beyond national boundaries. Due to the different kinds, quantities and combinations of chemicals transported, the variety of hazards they may pose is extremely large. Within this versatile and challenging operating environment of highly skilled professionals, ChemSAR e-learning platform strives to offer a pleasant and effective learning experience. The learning environment will raise awareness and emphasize the complexity and limitations of an HNS-related SAR operation at sea. ChemSAR learning materials are supplementary to already existing SAR material, e.g. national guidelines, SAR education and training, as well as the International Aeronautical and Maritime Search and Rescue Manual of the International Maritime Organization. The target groups include rescue, environmental and maritime authorities, SAR training and maritime academies, and shipping companies and seafarers. 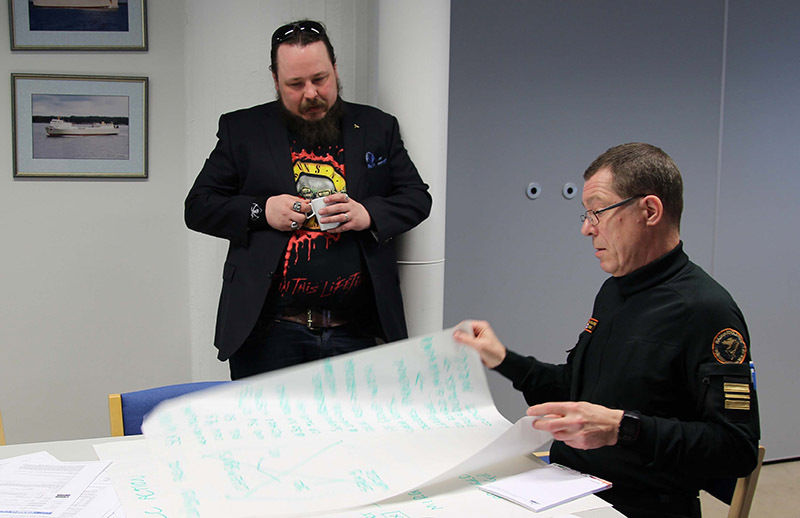 A game development workshop was arranged 18th of April to support the learning materials and simulation game development in Turku. The workshop was led by the ChemSAR staff at the University of Turku and Novia University of Applied Sciences. The participants worked as groups to follow incident scenarios where different HNS were involved, evaluating the dangers of the substances and making risk assessment and decisions in demanding circumstances. 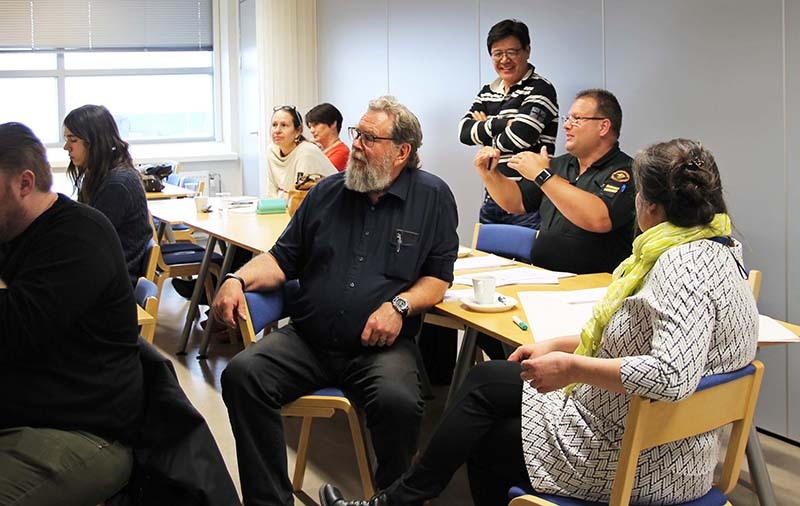 The participants were maritime students and teachers at Novia and Axxell, experts from the Finnish Border Guard, Swedish Coast Guard and Meriturva Maritime Safety Training Centre. Game Development Specialist Olli Heimo from the University of Turku and Johan Lindroos from the Finnish Border Guard are joining their expertise in the development of the ChemSAR Game. A lot of valuable feedback was given by the participants.